Hedingham Fair are a company who (among many other things) produce greetings cards based on English customs. In 2016, to our great pleasure and pride, they produced a Christmas card based on the Bradford on Avon carol sings. The design is shown below and the card is still available from Hedingham Fair. If you have been to any of the sings you will recognise many of the faces you will see below. If not, it captures well the atmosphere of music and happiness. 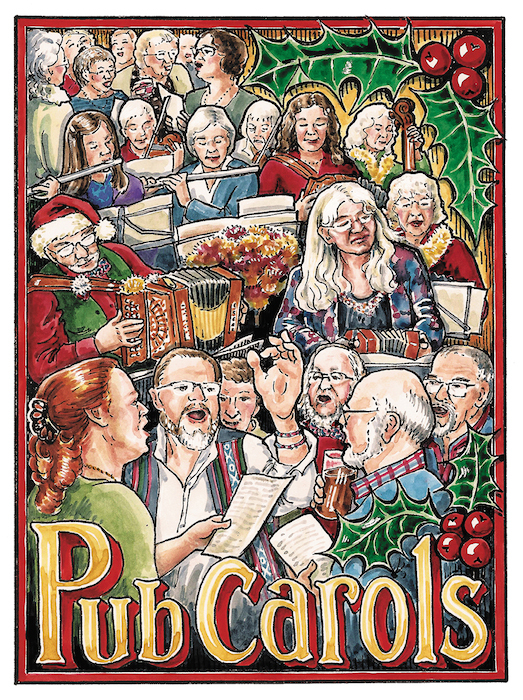 If you are interested in buying cards of this design it is card “S443 Pub Carols” and you can contact Hedingham Fair by clicking on the design.